Operating a food and/or drink producing business comes with a large liability towards your clients’ health and wellbeing. To operate a production hygienically it is required to have access to clean bacteria and virus free water – for the actual production as well as for the cleaning of the machinery. Very pure water is required if your production includes the use of steam boilers where water turbidity otherwise can hinder an effective production. For producers not connected to the sewer grid a responsibility is relied on its operation to ensure that the discharged wastewater meets the national parameters. Aqua Unique has many years of experiences in delivering custom build solutions for the food and drink industry. We are aware and acknowledge the challenges that are involved in operating a food and drink production in Africa, yet the operation is basically being expected to meet international standards. We design our systems around being cost beneficial to your already exiting operation or new facility. Our water purification technologies ensure you operate your production safely for your clients and staff. 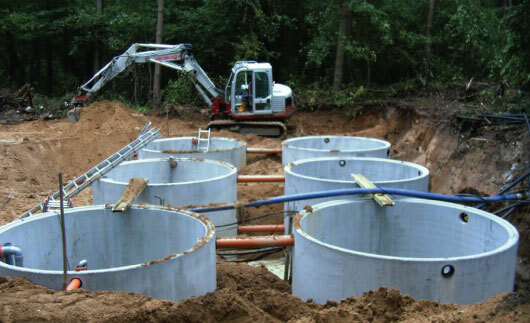 Our wastewater treatment technologies guarantee that you meet the national parameters for discharged wastewater by miles. As a sidekick treated wastewater can offer your operation huge savings from having to purchase water as it can manageable be recycled (read purified) and used again for your operation. Alternative treated wastewater water can be used free of charge to irrigate your gardens – either through a simple tap system or a more sophisticated piped irrigation system. There exist a number of different water purification technologies applicable to a food and drink producing facility. But if we generalize – the choice is really between two systems. 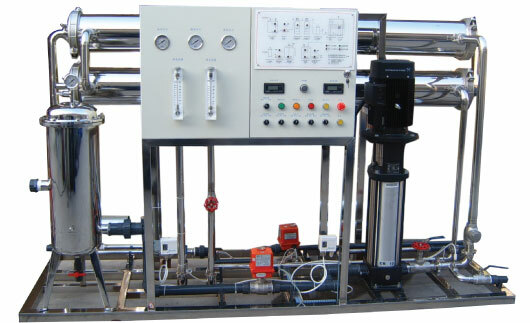 Reverse Osmosis (RO) is generally considered as the safest water purification technology. The alternative and less costly is Ultrafiltration (UF). Both systems shall be combined with pre-filtration and post UV-disinfection (UV-C). Reverse Osmosis systems are delivered in a wide range of sizes – with a purified water production from 1.1m3 to +100,000m3 per day. Ultrafiltration meanwhile tends to be applicable to medium and large sized productions as the water purification production starts from 40m3 to +200,000m3 per day. You can surely find providers offering small particles filters or even smaller Reverse Osmosis plants, but believe us – they are not safe and will breakdown after a few months of use. For new facilities (yet to be constructed) our innovative solutions include water separation where the water is split into two levels. One level will be multi-usage water for general cleaning, washing and toilet use while the second line is pure drinking water for food and drink production, cleaning of machinery and optional staff drinking water. This is a very efficient way to save capital investment cost as well later operating cost. The systems are designed that no pump is required. The only power consumption is for a compressor blowing air into the treatment process. As an example a treatment plant handling 75m3 of wastewater per day only consumes 7,8Kwa for 13 hours a day. A plant of that size also only takes up the space equally to five and a half 20 foot containers. See also the section for Container Solutions here.